What is CNC metal processing for Lathe and Milling? Almost all metal design parts are related to lathe or miling. Even the modern precise forging or 3D printing, several dimensions still need modification by CNC to meet the precise tolerance requirement. The mechanical principle of traditional lathe is like traditional pottery machine. It works by a rapidly rotating casued by manpower in order to proceed cutting and carving on pottery. According to history, lathe machine is being developed in early Roman Empire. At that time, the rope is used to rotate the machine with the forces of manpower or animals. The skilled craftsman would proceed the turning operation. In Industrial Revolution Age, large amount of metal is widely demaned, so lathe become the key processing machine. Thanks to the development of steam engine, belts and gear application, the evolution of all gear-speed late was completed. As the traditional lathe is operated completely by manpower, you can image the quality and the master skill level were strong correlation. If the master got drunk last night, the next day the defective rate might increase very much. 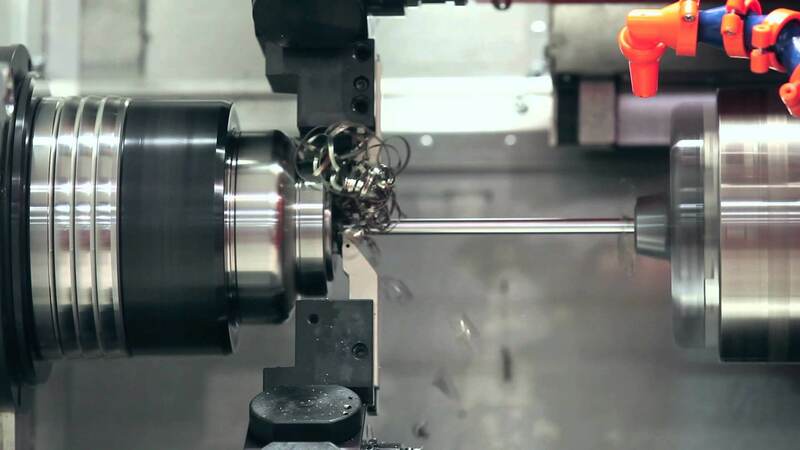 CNC lathe is evoluted from the lathe. CNC means "Computer Numerical Control ", use computer memory and input/output signal to control the machine operation. CNC lathe is using controller to communicate between computer and lathe machine to achieve accurate and large lathe stable production by avoiding traditional human error. In the other words, CNC lathe can quickly produce a large amount quality metal part without another 5 year to train several skilled masters. One well-trained engineer who knows program plus several operators as well as the CNC machines can generate equal productivity beyond the traditional lathes. Scalable is the key here. However, the traditional lathe still have its advantage. Compared with CNC lathe, traditional lathe with semi-automatic cutting machine is more suitable for simple operation. Plus, CNC lathe price is usually three to ten times of traditional lathe machine. Below are the CNC metal processing service, Tien-I offer. If you have any metal part processing problem or question, contact with Tien-I Team.